Thanks to Berks County’s incredible generosity, more than $10.5 million was raised during United Way’s 2017 campaign. Campaign dollars are invested into our community by funding over 50 programs, initiatives and grants benefitting more than 100,000 Berks Countians each year. United Way works with 34 agency partners, donors, volunteers, businesses and other community partners to tackle key issues with the focus areas of education, financial stability, health and safety net services. The process of investing in these programs would not be possible without the dedication of community volunteers. Each focus area consists of its own group of Focus Area Panel (FAP) volunteers, which is led by a Chair and Vice Chair. 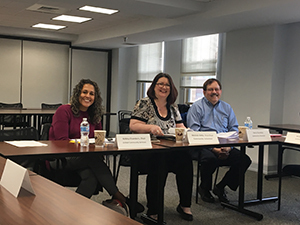 With the help of 33 FAP volunteers in 2018, United Way appropriately allocated the dollars to the various programs through the annual review process. This volunteer-driven process ensures that donor contributions are put to work in programs and services that meet critical community needs. 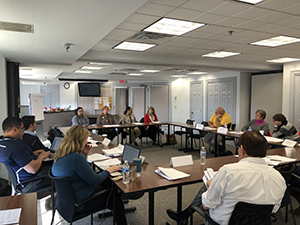 Once the FAP meetings conclude, and the recommendations regarding the annual investments have been made by each panel, all FAP Chairs and Vice Chairs gather to review and discuss the recommendations, which are then presented to the Community Impact Cabinet, and then ultimately to the United Way Board for approval.